What's tougher than being a rhino nowadays? How about being a deaf rhino? Rhinos are notorious for having poor eyesight, therefore their acute sense of smell and hearing are critical to their daily survival. As an obvious sign of how much they rely on their hearing, rhino ears are always moving, pivoting back and forth like miniature satellite dishes, taking in every sound to assess their environment. 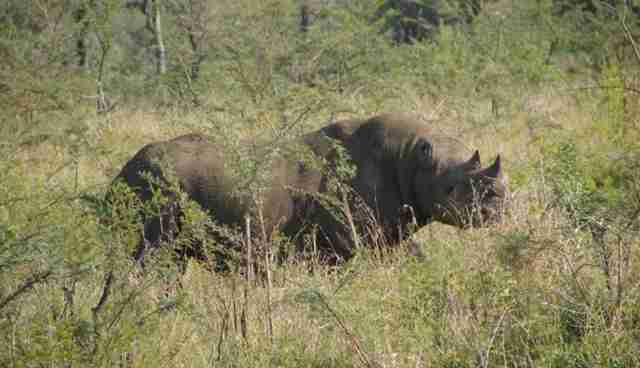 But for at least a century, earless black rhino have been observed in at least seven populations. 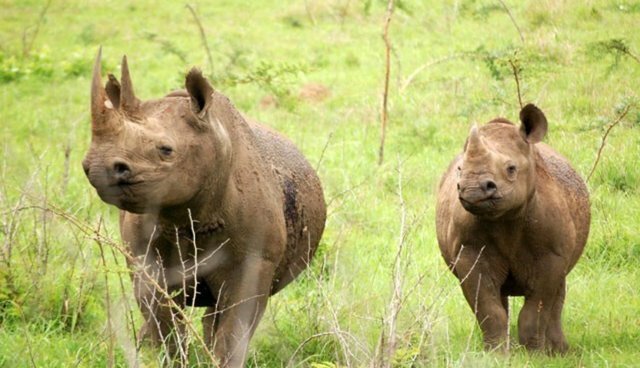 In these rhino, both visually deformed and completely earless rhinos were found. It is actually not all that uncommon in certain groups. In South Africa's Hluhluwe-iMfolozi Park, 3.7 to 4.0 percent of rhinos face this issue. In South Africa's Mkhuze Game Reserve, that figure rises to 7.1 percent. The cause of the deafness is unknown. There has been speculation from genetic abnormality to the notion of predator attacks, such as hyena, but no definitive conclusion has been found. In 2012, Roan Plotz, spent three years researching and tracking black rhinos. His observations were that this physical anomaly renders the rhino totally deaf. See more on Plotz's findings here. While some earless rhinos have been observed to live long, normal lives, with no obvious issues breeding or eating, others have met untimely death. In one case from an elephant trampling, in another from a hyena attack. It can only be assumed their deafness played a part. 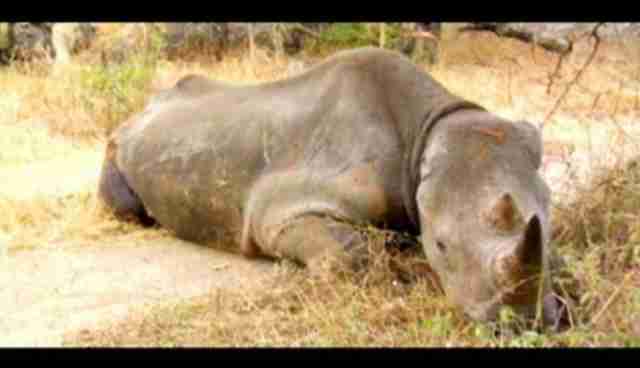 This completely earless rhino succumbed to it's injuries after a hyena attack. Photo: NatGeo.